Winter or summer, it's always the right season for a good gardening book. Some just for the pleasure of reading and inspirations and others serve as indispensable resources. The one that I have am in the middle of right now is All the Presidents' Gardens by Marta McDowell. 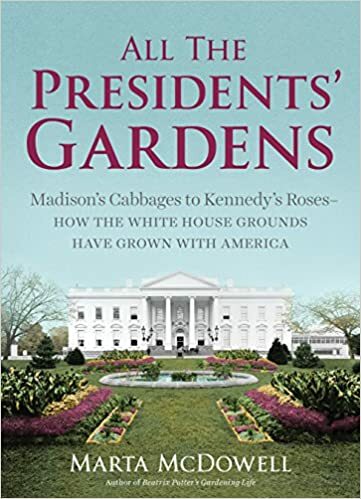 My kindergarten granddaughter read the title and asked, "Why do the presidents have to have more than one garden?" Soon enough she will enjoy all the little tidbits this book has to offer! 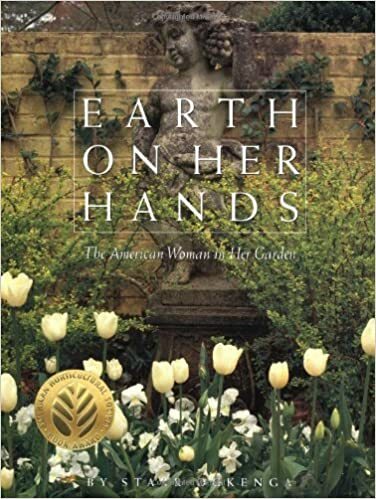 My all-tune favorite for casual reading and inspiration has got to be Earth on Her Hands: The American Woman in Her Garden by Starr Ockenga. It was published in the late 90s and shares the stories of 18 women and the gardens that they have each spent decades creating. Although these gardens are far beyond anything I could create, I love imagining the impossible possibilities. It is clear that each of these women was hands-on in all aspects of their garden. This is a large coffee-table type book that I enjoy in small doses - one garden at a time. It can be purchased on Amazon for as little as 1 cent plus shipping. 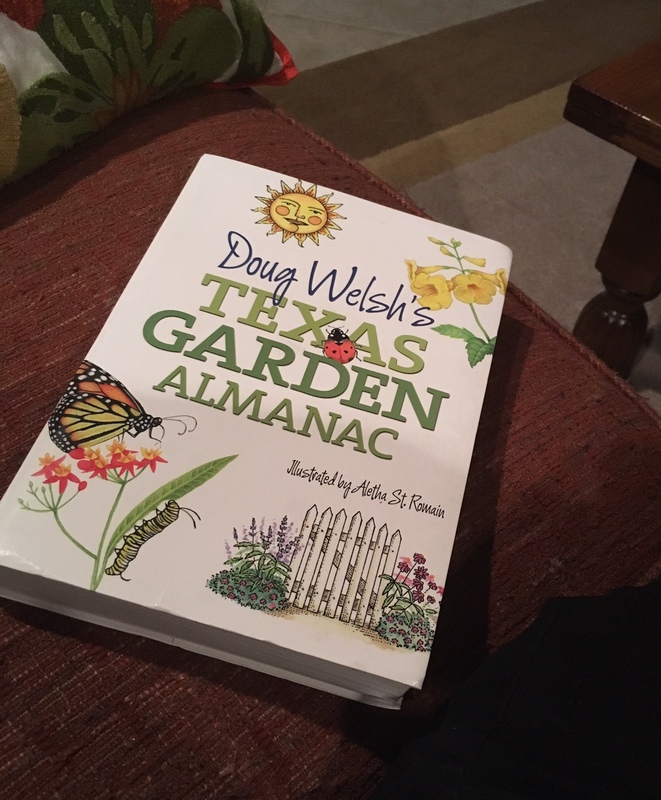 Doug Welsh's Texas Garden Almanac is a favorite how-to and when-to resource. It is organized by month so if I take the time to read ahead, this book helps with my planning and helps me to anticipate what I need to prepare for. If you live in Texas, you should have this one! 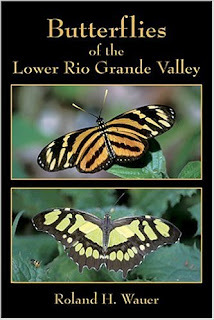 This may not be a gardening book in the strictest sense of the word but it is a wonderful resource for anyone in the Lower Rio Grande Valley who is creating their garden in order to attract lepidoptera (or butterflies - but lepidoptera is much more fun to say!) 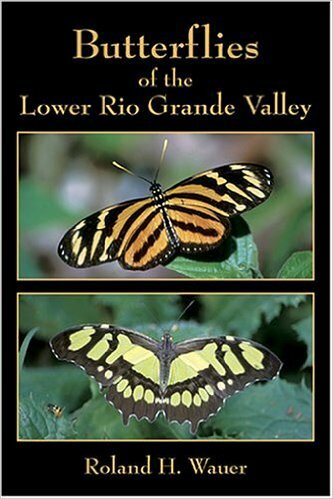 - Butterflies of the Lower Rio Grande Valley by Roland Wauer. This is a new page that I plan to add to as time allows and as I discover new gardening books. Come back and visit for additions and my personal synopsis and review. What recommendations do you have for me? I'd love to hear what your favorite gardening book is! Leave your thoughts in the comments.